Cavell, J. (2017). 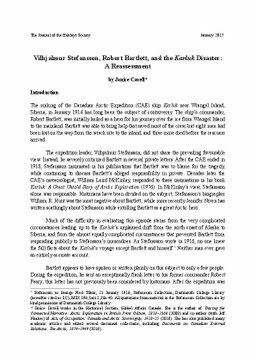 Vilhjalmur Stefansson, Robert Bartlett, and the Karluk Disaster: A Reassessment. The Journal of the Hakluyt Society.